Children love our watersports activity days and RYA courses where they can enjoy the thrill and challenge of windsurfing and sailing. 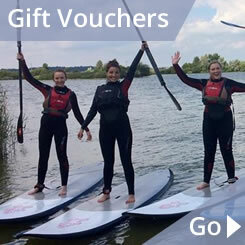 It is a wonderful way for them to become water confident and learn a new skill and, perhaps, eventually become watersports instructors themselves. Stand Up Paddleboarding can be included as an activity for older children. The two hour sessions in windsurfing or sailing will have the same timetable as the 4 hour activity but either a.m. or p.m. and without the lunch break. RYA taster certificates will be awarded. The course consists of four two hour sessions in windsurfing or sailing run over consecutive weeks, or to suit a schools timetable. These sessions can be held a.m. or p.m. At the end of the course children will be awarded Royal Yachting Association certificates in Start Sailing or Start Windsurfing. The normal cost for the RYA course for children is £130.00 so greatly reduced for school groups. We appreciate that many schools are unable to fit a watersports activity into their curriculum during the school day so we will be running these sessions after school from 4.30 to 5.30. Eight one hour sessions of one activity would result in children gaining their Start Windsurfing or Sailing Royal Yachting Association certificate. Once children have gained their RYA Stage 1 certificate in windsurfing or sailing they can join our Wednesday Windsurfing/Sailing Club during the school holidays. All kit/wetsuit is provided. This is a massively cost reduced two hour coaching session. We also have an RYA Team 15 Club held on Sunday mornings. 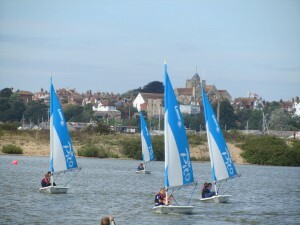 Children can also go on to do their RYA Stage 2, 3 and 4 courses. We have been teaching school groups since 1986 and hold an Adventure Activities License, Royal Yachting Association recognition and public and product liability insurance for 10 million pounds. 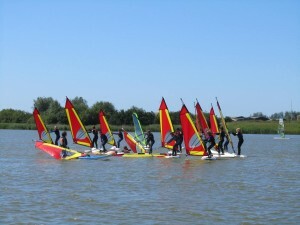 We are recognised by Kent and East Sussex County Council as a provider of watersports activities for schools. We would be very happy to come to your school to discuss the above programmes with you. Please call 01797225238 or email team@ryewatersports.co.uk with any questions or to make a booking.